The two hour spectacular will feature current WBO Middleweight Champion “Kid Chocolate“ Peter Quillin, veteran trainer Joe Goossen, Hall of Fame matchmaker and promoter Don “War a Week“ Chargin, former universally recognized Lightweight Champion Nate “The Galaxxy Warrior“ Campbell, Junior Middleweight prospect Julian Williams, and Welterweight prospect Antonin Decarie. Kicking off tonight’s program will be current WBO Middleweight Champion “Kid Chocolate” Peter Quillin (30-0, 22 KOs). The hard punching title holder will discuss his next voluntary defense against Czech figher Lukas Konecny, which is slated to be aired on Showtime Championship Boxing on April 19th from the DC Armory in Washington DC. 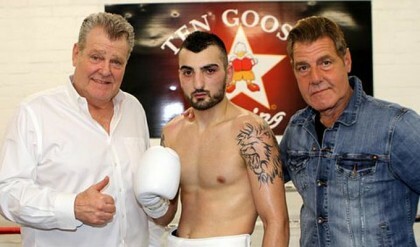 It’s an honor to welcome expert trainer Joe Goossen to the program for the first time. The colorful LA based boxing mentor will discuss his newly acquired protégé Vanes Martirosyan, and his latest effort on ESPN’s “Friday Night Fights”. 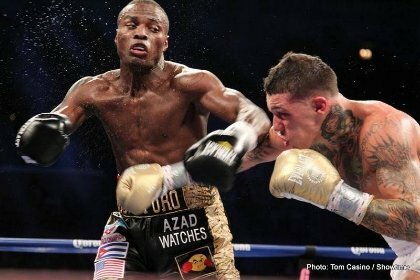 The insightful trainer will also put to rest the controversy swirling around his Heavyweight Malik Scott’s recent defeat at the hands of undefeated WBC mandatory title challenger Deontay Wilder on March 15th. Appearing on “The Pugilist KOrner” once again will be boxing legend and Hall of Fame matchmaker and promoter, Don “War a Week” Chargin!! It’s always an event when we feature “The Don” of boxing and we’re treated with his stories that span over six decades in the business. 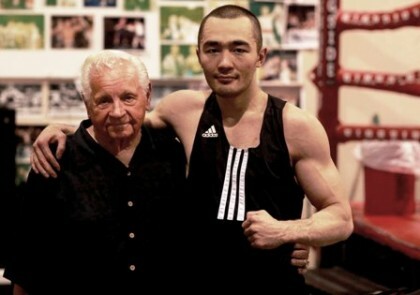 Mr. Chargin will also give us the latest news on his fighters Beibut Shumenov and Canelo Alvarez, as well as upcoming Golden Boy events!